Do I make any money from this blog? 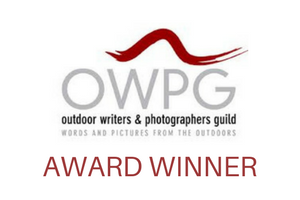 Last weekend I was given an award by the Outdoor Writers & Photographers Guild. It was a great honour and I am delighted that my blog has been recognised as something which promotes the outdoors and inspires others to get outside. That is after all, one thing I would like it to do. 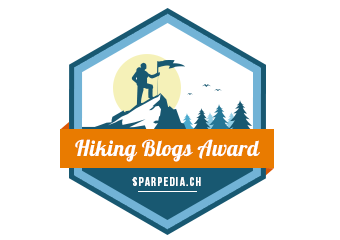 It has been just over a year since I started to write this thing in earnest and any form of encouragement, from awards to a friendly comment from wife, is very welcome. Yes, but do you make any money? The other day on Twitter someone asked me if I make money from the Armchair Mountaineer. Although I have been asked to write a couple of articles and I make a little trickle of cash from affiliate links, any revenue this web site brings me is very much in the "beer money” category. But I am ok with this. For now. It doesn't mean I am not serious about it but I recognise that I must earn my stripes, I must grow my following and I must build something that can be monetised through a receptive and engaged audience, gear reviews or perhaps simply volume of traffic. I didn’t start out with a curated plan as to how I would earn from it, but I always had an idea to write a book about my love of the outdoors and its role in my life re-design. It is a blessing that I am not in a hurry. It is a blessing that I have other means of income and it is also a blessing that this blog is as much about inspiring myself, and others like me, as it might one day be about making money. The outdoor industry; this "business sector”, for want of a better phrase, is not renowned for its millionaires. But I have been struck, in this year of re-designing my life, that I have seldom come across a fellowship of friendlier, more helpful people. The outdoor community is by far the richest I have known in terms of health and spirit. 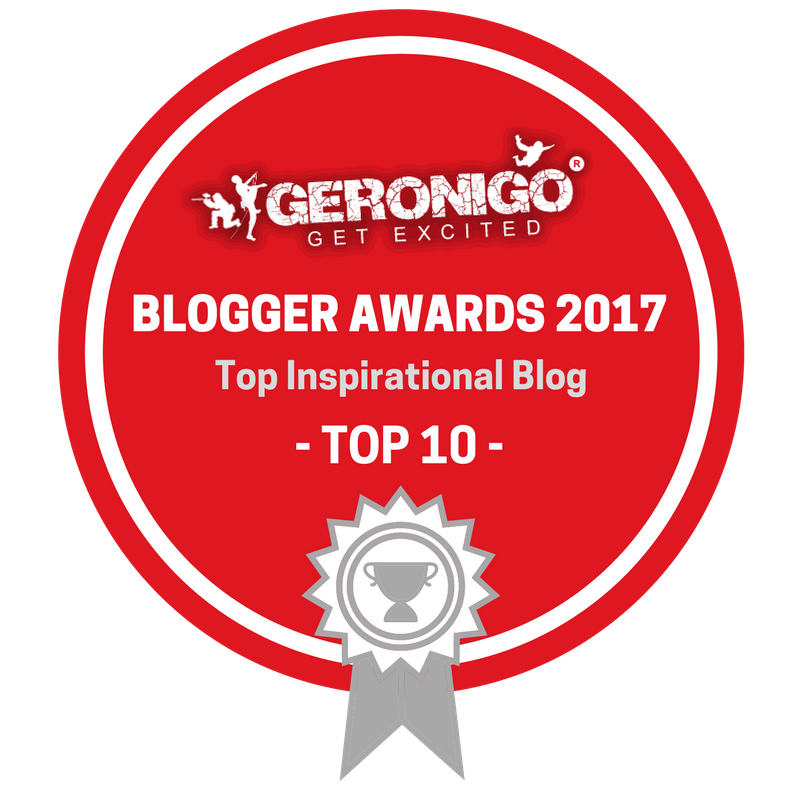 Here's to another few months of blogging, for love, not money. Sponsorship of Climbers by Big Brands... will the real parents please stand up? My first reaction to the news, once I had got over my indifference, is "well done - it is shrewd business", but then again I am one of those horrible people who likes shrewd business. I don’t mean unfair business, just good old, money-making business. And I make no apology for it. Ashima wants to be a sportswoman. I have no doubt she has worked harder than the vast majority of her critics to get to where she is at the tender age of sixteen. Based on this hard work, vision and drive she has landed a (presumably) large sponsorship deal. Do I think the the nation to the dangers of excessive sugar consumption? Yes. But, do I object to the existence of products like Coke or indeed the people used to promote it? Of course not. I am not some crazed controlling totalitarian nanny (my daughter may disagree). Can you explain what your product does? There is a business adage - or perhaps I should say it's just common sense really - and that is; if you struggle to explain what your product does, you most likely have a problem with it. If nothing else you are going to have a massive problem selling it and nobody else will be able to explain it. "Ideas that spread, win" as Seth Godin says. So when it comes to explaining a personal journey of life redesign, which has been an evolutionary thing at best and schizophrenic at times, should I be concerned if it is not clear to everyone? I was recently invited onto the Join Up Dots podcast - the first time I have been on a podcast - and a good chance (I thought) to hone my message. Prior to this, the only person with whom I discuss in detail my decision to quit the rat race in search of a more entrepreneurial and adventurous lifestyle, is my wife. And she kind of knows me. She sees my mood swings, knows what makes me tick and interprets little hints. I am not saying clarity is not required in a marriage, but there is some leeway, because effectively things have been explained not just by words but also by actions. This week, I have also been asked to succinctly write a few words for distribution to media describing what I am doing and what my plan is. Hmm. Anyone who read my post about Life Redesign from a couple of weeks ago will know that this has been changing and I have had trouble in the past describing what it is that I am doing. So much so, indeed, that by the time I had put the same post out on Medium it had altered a little and become more succinct. The podcast experience sadly didn't give me the chance to talk around the areas I wanted or the chance to fully explain my journey. I would have liked to perhaps explain chronologically how I reached where I am and also what motivated me to make the changes. But you live, and most important of all, you learn! What I didn't realise until this past couple of weeks is that in order to talk about myself in this way I need to consider myself as a product and it can't be one that changes every few days. So I have settled on a high level view and here it is. "In late 2016 I quit the "rat race". It was long time coming and it was a difficult decision. When I decided to take this dramatic decision I had in mind the idea to “redesign my life” in a way that was more entrepreneurial, satisfying, interesting and adventurous both in my personal and professional life. I wanted to work on different projects, to learn new skills and to live a more adventurous and fulfilling life, especially spending more time outdoors. In short I wanted to follow my passions, be happier and live better. I decided 2017 would be the year of change." And this is the short of it. I have sent this to the media outlets that requested it and I will stick to it. Limit Work in Progress... with thanks to Dave Cornthwaite. On April the 9th, the morning after a very late flight in from a week walking in the Azores, I met Dave Cornthwaite. I imagine to quite a few who read this blog it will be a familiar name. Dave is an energetic man in his thirties, with sunny hair and an equally sunny disposition. "...you won't get the best results by irascibility and rudeness. They will breed either dislike or a slave mentality - (Rebellion in War time being out of the question!)." Does this endure in business? One would imagine instinctively that this style (if one can call it that) of management is destined to fail immediately but it can actually be very enduring. Those who rebel leave quickly but a large number of people get used to it - they become enslaved, they cease to question and they follow orders - underneath there is often dislike but you may see a kind of Stockholm Syndrome develop. I am not talking about the pressures of war, or the oppression of a totalitarian country. I am talking about Western Europe, the developed world and multi-million pound businesses. I remember years ago witnessing from a distance how destructive and limiting this kind of management can be and it amazes me how enslaved employees can become, by a senior manager who operates through fear and humiliation. The typical Dictator - let’s call him or her Dictator - has an enormous amount of energy and spends a good deal of it in ensuring there is limited communication between employees. He plays one off against another by talking up the individual to whom he is speaking and denigrating others (he will do this to everyone - you are not special). Dividing people kills communication and creates a dependency on the figure of the Dictator. He is immediately the employees only source of praise, knowledge and help. He can now control everything, from strategy to operations and do everything the way he sees it. Given a decisive and brilliant Dictator this can work, for a time. But even with these abilities there is a ceiling to the success this Dictator can have. Growth is limited. Now this is not to say an organisation run like this cannot grow into a reasonably sized company but it will never get out of the SME bracket to join the big players. And here is why. The simple truth is that there is a limited amount of work one person can do. The Dictator is incapable of giving responsibility to others, although a particular trait is that he never takes any blame - preferring instead to use blame as a tool to divide his staff. If such a company does not adapt for growth (and this involves much more than installing a middle level of management, but also fundamentally changing the culture within the organisation) its time is limited and it is destined to do one of two things. b) It will plateau and when the Dictator runs out of energy... it will die. So, you get the picture. It will die. Who cares? says the Dictator, he doesn't see this and has done everything right in his mind. He has given people work, which incidentally he often sees almost as an act of benevolence on his part. He has in his mind been a success. Creating something of value requires other people. Whether or not Winston Churchill took his wife’s advice we may not know* but he was operating in a global war, under the threat of invasion, bombardment, tyranny and he held the lives of millions of people in his hands. I will excuse him some "rudeness". He was both decisive and brilliant but even his time was limited. To create something of great and lasting value does require individual vision and brilliance, but most of all it requires other people. Continued growth requires a healthy organisation not just a healthy balance sheet. *A Churchill scholar may indeed know this.